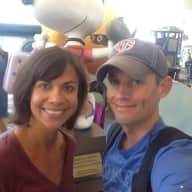 We’re Summer and Nino, full time international house sitters and nomads excited for the opportunity to meet you and care for your animals and homes. I had an interest in animals my whole life as I wanted to be a naturalist growing up. Although that didn’t happen I did take a second job at a pet store just so I could work with animals. I’ve also rehabbed houses and been a landlord. Having owned houses, I know how to care for them, and how meaningful it is to have your house care for well. I’m also an experienced gardener, having built a self-sustaining garden that watered itself when I lived in Cleveland, OH (see the picture of the garden). I’ve also traveled extensively throughout Europe, North America, and Central America to learn and experience new cultures. I love to go on long walks with dogs or audiobooks. I’m also a big fan of the beach and thrive in warmer weather, but am repelled by the cold. I grew up as a puppy. Just kidding! My family absolutely loved Bernese Mountain dogs, so much so we usually had 3 - 5 in the house at any given time growing up. As a kid, I was often found in a dog crate - haha. When I met Nino, I fell in love with his English Mastiff, Buddy. I think Nino kept me around because Buddy approved (wink). I grew up with feline friends too! When my Shadow (long-haired black cat with green eyes) passed away, I was in college and knew the timing was not right for a new pet and loved on my friend's new kittens instead. Not too long after we got a family cat to keep my Mom company, Echo. You'll see a picture of her in the picture section. It was clear early in life the ‘animal lover’ gene was passed onto me. When I’m not watching YouTube videos of baby animals, I’m obsessing over all things travel. I just finished my MBA, and it's really nice to have a little free time back to do the things I love. It has always been my dream to travel the world, learn about different cultures, try local foods, and make new friends. I've been working for so long in the fast-paced banking software development loop that I'm enjoying slowing things down a notch and being more creative. I also enjoy hiking up mountains, snorkeling, playing in the sand, curling up with my favorite book (and a pet! ), and watching Star Trek. As content writers, we be spending the vast majority of our time at your home and looking after your pets, gardens, etc. Between the two of us, we’ve cared for nearly every type of animal…even our 81 kg English Mastiff who we had as a puppy until the ripe age of nearly 12. He was a BIG part of our family and will forever be missed - Love you, Buddy! We really look forward to connecting with you. We decided to begin full-time international housesitters because we want the freedom to travel the world and explore new cultures (and food! ), while also being able to spend quality time with animal friends. New people, animals, and places inspire our creativity and love of life. 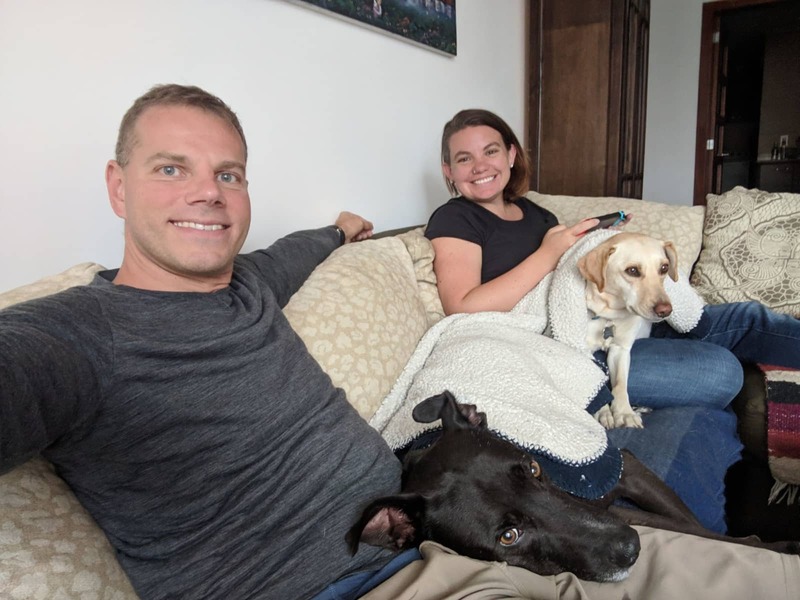 We've house & pet sat several times before decided to embark on a full-time housesitting adventure - Ranging from houses and gardens to multi-dog households. 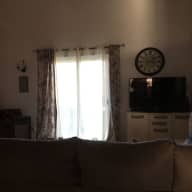 We have several recommendations to share with you from our happy clients before we joined Trusted House Sitter. We understand trust is important when allowing people into your home and caring for your pet family which is why we can provide you with copies of our USA FBI (Federal) background checks as well. Summer and Nino were excellent sitters. They cared for our dogs as if they were their own. Highly recommended! Summer and Nino looked after my 4 dogs and 4 cats over the holidays with absolute perfection. Over the past 14 years I’ve had many sitters, not always with Trusted House sitters, but I have experience. Without question, this couple, was outstanding. If they apply to sit for you, jump at the chance, or if you need a couple that can take on complicated situations, then write to them with your offer. I did not have a lot of time to explain the requirements but I left notes. Everything was followed to the letter. 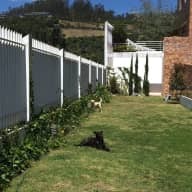 The dogs were walked, (locals and my peon told me), the house was clean, the numerous houseplants watered, the pool clean, and my 2 organic gardens watered. I’ve never come back to find everything in such good order. I understand “things” happen, but nothing was damaged, liquor wasn’t missing, and the animals seemed relaxed and happy. My animals are always my first concern and I think this couple actually loves pet sitting. These people are intelligent, thoughtful, and very capable. They kept me updated and handled whatever came their way. They were totally self sufficient on a very remote finca. I wouldn’t hesitate to recommend them to the fussiest of owners and if I have the chance, I would have them again. Summer and Nino are exceptionally lovely and sophisticated people and I had a wonderful vacation knowing they were in my home. Muchísimas gracias! Summer and Nino. If you need a pet sitter, Nino and Summer are the best! They have watched our dogs Lucy (Rat Terrier) and Harley (Papillon) many, many times over the past ten years. We do not travel unless Nino and Summer watch our pups. The convenience of knowing we can leave our pups and home with them is invaluable when we travel. When I say they are the best, I mean it – They know all the favorite past times of our dogs like belly rubs, walks around the neighborhood, and sitting in the backyard when there is a gentle breeze. They also know that I’ve encountered coyotes in San Diego and do not trust anyone to make sure that they are always safe. Lucy and Harley are beyond excited whenever Nino and Summer are around and always miss them when they leave after a long visit. Nino and Summer are also organizers and take care of our home and leave it in the same condition, if not better every time. 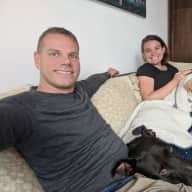 It’s an honor to write this recommendation for Nino and Summer as they set out to travel the world and still found a way to connect with pets, which they love. Pets always miss their owners, but with these two we never feel like we left them, we feel like they are on a vacation of their own!